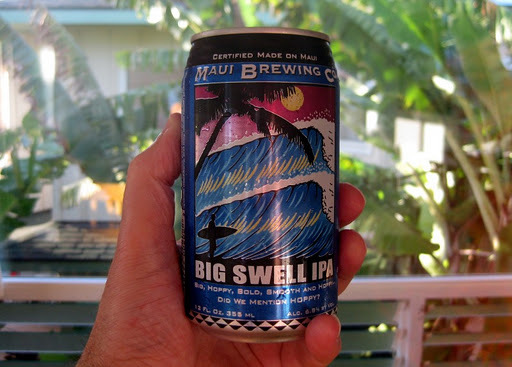 We just got back from two wonderful weeks of relaxing, swimming, eating, and yes, a wee bit of drinking in Hawaii. 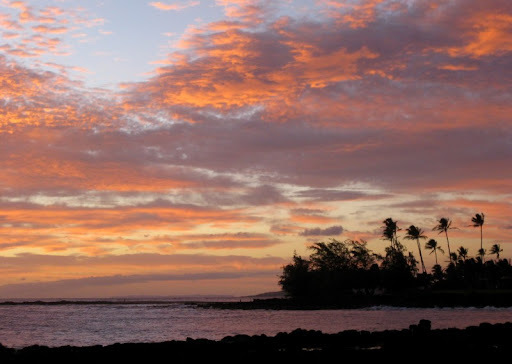 The first week was spent with friends, renting a house a block from the water in Poipu, Kauai. They picked us up from the airport, already provisioned with the key ingredients (pictured above) needed for our stay. 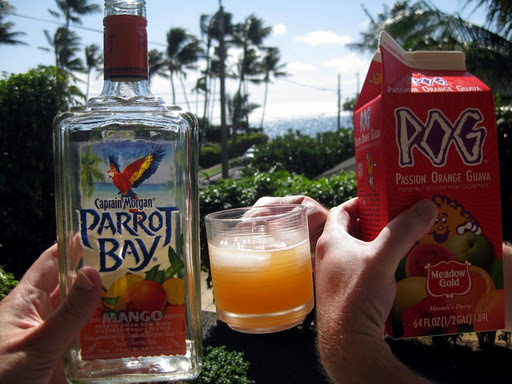 A short while later, we each happily enjoying a "Lazy Man's Mai Tai" on our patio overlooking the ocean. This blend of rum and the ubiquitous local mixture of passionfruit, orange and guava admittedly doesn't have much in common with a real Mai Tai other than rum and fruit. It is tasty, though and really easy to make. I suppose you could make it more Mai Tai-ish with a pour-over of dark rum. We didn't. We were being lazy. While the beer from the other Hawaiian breweries is pretty mediocre, Maui Brewing actually puts out some pretty decent stuff. 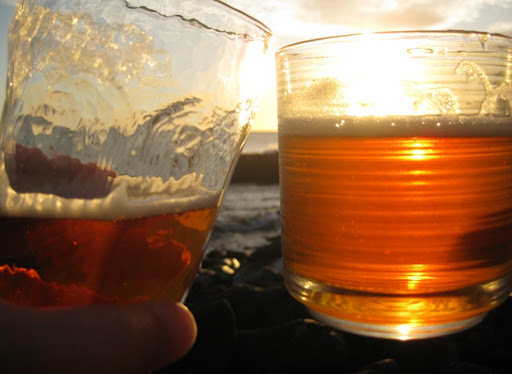 Their IPA made a nice beverage for sunset. In addition to our diet of lazy libations, we did also manage to do a bit of eating during our stay on Kauai. More on that soon. Welcome back guys! Poipu is our favorite place in Hawaii (well, next to Honolulu but then I'm a bit biased). Look at that beautiful sunset. Love any alcohol drink made with POG! Try any crack seed while you were there? Hi CAB - I just had to look up what crack seed is :-) We'll have to try it the next time we visit Hawaii. Hi James - you and me both! I love San Diego, but Hawaii definitely has us beat in the winter weather department. LOL! Most preserved fruits don't have cracked seeds, which is good cuz those little pieces of seed are annoying. My favorite is Tourist Plum (mostly sweet with a touch of salty, moist kind) but the li hing mui ones (especially the mango) are pretty good. Preserved seafood are also very good too. Thanks for the info, CAB! Great way to start a vacation! I'd love to go to Hawaii, but for now, I'll just vacation vicariously through your posts!